Colorwheel Ltd is entirely committed to protecting the privacy of our site visitors and customers. We believe you should always know what data we collect from you, how we use it and that you should have meaningful control over both. We will not disclose information about our customers to third parties except where it is part of providing a service to you – e.g. 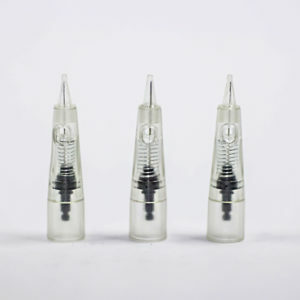 arranging for a product to be sent to you or where we have your express permission to do so. We do not process payments independently – We use one of the most secure online ordering systems on the market (PayPal – Please read information on third parties below), therefore we do not gather any of payment information from you in order for you to purchase our products or use our website. We utilise industry-standard Secure Sockets Layer (SSL) technology to allow for the encryption of potentially sensitive information such as your name, address, email and phone number. Information passed between your computer and our website cannot be read in the event someone else intercepts it. We will not share or sell your name, address, e-mail address or any of your personal information to any third party without your permission. We collect personal data from you when you provide it to us directly and through your use of our website. The only information you provide to us when you use our website (your name, shipping address, contact details and any information which you add to your account profile if you registered for an account). – To manage and respond to any queries or complaints made using our contact form. – To improve and maintain our website and monitor its usage. – Because it is in our legitimate interests as an ecommerce provider to maintain our services. – If we are under a duty to disclose or share your personal data in order to comply with any legal obligation, or in order to enforce or apply our terms of; or to protect the rights, property, or safety of Colorwheel Ltd, our customers, or others. This includes exchanging information with other companies and organisations for the purposes of fraud protection. If you wish to verify the details you have submitted to Colorwheel or have this data deleted, you may do so by contacting us via the e-mail address or address given below. Our security procedures mean that we may request proof of identity before we reveal information. This proof of identity will take the form of your e-mail address and password submitted upon registration. You must therefore keep this information safe as you will be responsible for any action which we take in response to a request from someone using your e-mail and password. We would strongly recommend that you do not use the browser’s password memory function as that would permit other people using your terminal to access your personal information. You have the right to request: (i) access to your personal data; (ii) an electronic copy of your personal data (portability); (iii) correction of your personal data if it is incomplete or inaccurate; or (iv) deletion or restriction of your personal data in certain circumstances provided by applicable law. These rights are not absolute. Where we have obtained your consent for the processing of your personal data, you have the right to withdraw your consent at any time. If you like would to request a copy of your personal data or exercise any of your other rights, please contact us. A cookie is a small information file that is sent to your computer and is stored on your hard drive. If you have registered with us, then your computer will store an identifying cookie which will save you time each time you re-visit Colorwheel by remembering your email address for you. You can change the settings on your browser to prevent cookies being stored on your computer without your explicit consent. We may disclose aggregate, anonymised statistics about the number of visitors to this Website or number of purchases made as required by our investors. We use a third party WordPress plug-in to gather data regarding the visitors to this Website on our behalf using cookies and code which is embedded in the site. Both the cookies and the embedded code provide statistical information about visits to pages on the site, the duration of individual page view, paths taken by visitors through the site, data on visitors’ screen settings and other general information. 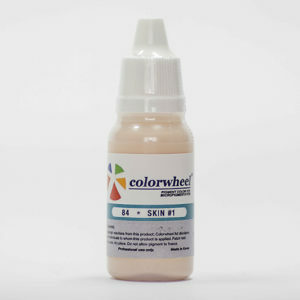 Colorwheel uses and stores this type of information, as with that obtained from other cookies used on the site, to help it improve the services to its users. 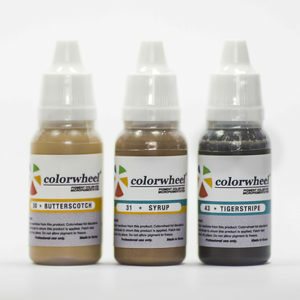 If you follow a link to any third party site from www.colorwheelpigments.com, please note that they have their own privacy policies and that we do not accept any responsibility or liability for these policies. Please check these policies before you submit any personal data to these websites. 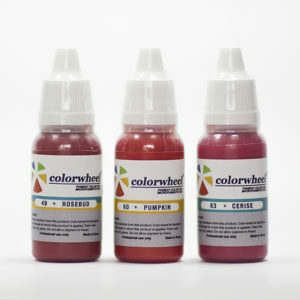 When someone visits www.colorwheelpigments.com we use a third-party service, Google Analytics, to collect standard internet log information and details of visitor behaviour patterns. We do this to find out things such as the number of visitors to the various parts of the site. This information is only processed in a way which does not identify anyone. We do not make, and do not allow Google to make, any attempt to find out the identities of those visiting our website. 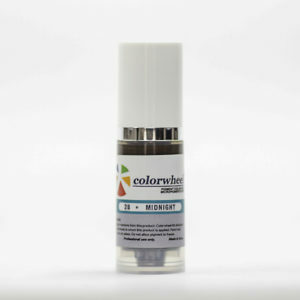 Colorwheel Ltd (at the address below) is the data controller for the purpose of the EU General Data Protection Regulation. You have the right to access the information which Colorwheel holds about you and your right of access can be exercised in accordance with the regulations. If you have any questions or feedback about this statement or if you would like us to stop processing your information, please do not hesitate to contact us and our team will be happy to help. *This policy was last updated on 23rd May 2018.